Sheina, the wife of Rabbi Arye Leib Frumkin was always a great support to him, and clearly a courageous and resourceful woman in her own right. Sheina was the daughter of Aharon Hodess, a rich merchant from Pikeln. Hodess traded in wheat crops, feathers, knitted goods etc, gave charity generously, and loved Torah. In the marriage agreement between Shmuel Kelmer (Arye Leib's father) and Aharon Hodess, he promised 1200 Roubles and five years "mezonot" (paying for the young couple's upkeep) as part of the marriage agreement, so that the young Frumkin could continue to study. Several of the letters from written by Shmuel Kelmer to the newly married Arye Leib, shows that things did not go too smoothly for the new son-in-law (see Lita in Jerusalem - Professor Etkes). Reb Shmuel Kelmer's death in Jerusalem, brought the deep desire for Arye Leib to visit his grave, and the first few years of marriage were difficult, as Arye Leib was then absent for much of the time in preparing and travelling to the holy land to visit his father grave (see the Arye Leib Frumkin story). However the following few years were spent in a more comfortable existence, as the Rabbi's wife in Alkasot, near Kovne. But Rabbi Frumkin felt his place was in the holyland, and Sheina supported his decision and followed him to the tough life in the holyland, with her young children. 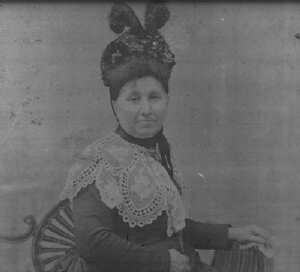 Her brave ten years in Petach Tikva, often alone with just the young children, are described in her daughter Hana Leah's memoirs, including her brave defence of the cart full of supplies, when attacked and beaten by Arab thieves on the journey home from Jaffa, her battles against malaria without proper drugs, or sufficient water, her management of the household with her husband often away from home. The move to London and the opening and managing the Frumkin's Wine Shop were again good years, but Rabbi Frumkin was not in peace in England, and when the children were sufficiently settled Arye Leib and Sheina returned to holyland in 1911, where she lived till her death in 1929.